It is said that one must give respect where respect is due. 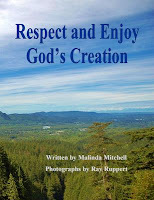 To God much respect is due. Many thanks are due. It is a blessing to live and breath on an earth that he created. We did not have to exist. And many times he over came the hurt that we as mankind bestowed upon him. The pain that a father would feel if his son or daughter disrespected him. As a father or mother you give to your child all the best that you could give. You do not want to see them want for anything. Lessons are learned by us as parents, from giving without instruction. Without exposing the consequences it is hard for a child to learn. Perhaps giving too much without one earning sets our children up to fail. God learned this lesson. He had to send a teacher in the form of man. A rebel with a cause. A guide. The messiah, to show mankind what it is to respect God our father. Do You Wear The World On Your Sleeve? Is There An Application For That? Looking Into The Mirror What Do You See?